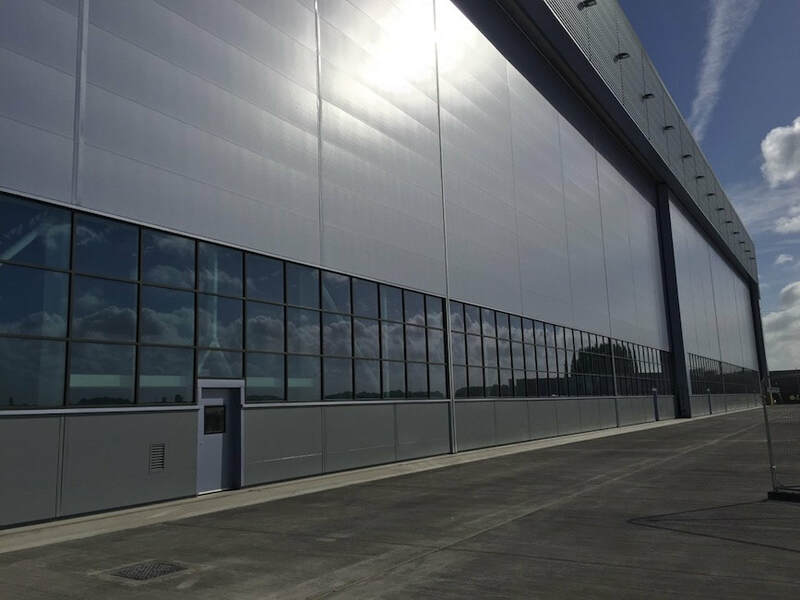 Continuing its long-standing involvement with hangar projects on RAF bases, Jewers Doors has designed, manufactured and installed its world renowned Esavian doors on the new 24,000m2 hangar at RAF Brize Norton. Used to maintain Airbus A400 Atlas four-engine military transport aircraft, which have a wingspan of 42.5 metres, the three-bay hangar will also accommodate C17 Globemaster freight and A330 Voyager personnel aircraft and includes a three-storey office facility. The hangar has a Defence Related Environmental Assessment Method (DREAM) rating of ‘Very Good’ which is complemented by the highly insulated, low air leakage, Esavian doors. Jewers Doors, which is based in Bedfordshire and has clients around the globe, has been installing doors in military hangars of all sizes since 1914 – indeed the name Esavian has origins that date back more than 100 years. The Esavian Type 126 steel-framed, horizontally sliding doors are the flagship of the range and because of their unlimited span and unrivalled performance have been installed on many the largest aircraft hangars in the world. In 2009 Jewers Doors supplied their Esavian doors for the RAF’s Future Strategic Tanker Aircraft (FSTA) air-to-air refuelling and air transport capability hangar at RAF Brize Norton.